Retailtainment gives retailers an opportunity for strategic differentiation and word of mouth, which can boost brick and mortar traffic, sales and loyalty. This year, retailers are putting the experience back in ‘customer experience.’ To boost in-store traffic, sales, and favorable word of mouth, U.S. retailers are investing in a blend of shopping and entertainment, or, as they are calling it, retailtainment. A provocative combination, retailtainment gives retailers a refreshing magnetism that pulls shoppers into stores by offering fun, enticing experiences. This trend reflects recent changes in consumer behavior: Shoppers now crave unique, memorable experiences they can share with their loved ones by posting photos on social media, including Instagram and Facebook. What’s more, investing in experiences is a smart, strategic move for retail companies. A National Retail Federation survey found nearly 40% of consumers desire a gift of experience, such as tickets to a sporting event, especially among 18 to 44 year olds.1Cheng, Andria. The Competitive Threat in Retail Isn’t Just Other Retailers. eMarketer. January 5, 2017. Strategic consulting firm A.T. Kearney found experiences and experience-related products like sporting goods have risen to 28% and 17%, respectively, of the $4.3 trillion in consumers’ discretionary household consumption as of 2015 (up from 22% and 14% of $1.1 trillion in 1985).2Cheng, Andria. The Competitive Threat in Retail Isn’t Just Other Retailers. eMarketer. January 5, 2017. In 2017, retailtainment is particularly important to reinvigorate the in-store retail sector. Ongoing retail contraction and online competition have led to more than 6300 store closures as of August 1.3Peterson, Hayley. More than 6,300 stores are shutting down — here’s the full list. Business Insider. August 1, 2017. Now retailers and shopping malls must reinvent themselves to attract consumers back to physical stores by emphasizing rich, multisensory experiences they cannot find elsewhere. Retailtainment means making stores a place “to inspire, engage, educate and excite.” 4Jones, Charisse. Retailers Adding Unusual Perks To Entice Shoppers To Stores. USA Today. September 11, 2017. Shopping malls are undergoing reinvention, adding bowling alleys, karaoke, upscale celebrity restaurants and live entertainment venues for Instagram-worthy fun to lure consumers to physical stores.5Thau, Barbara. Anchors Away: Malls Get A New Lease On Life With Fresh Retail Blood, Karaoke. Forbes. March 28, 2017. The loss of malls’ anchor tenants has led to such creative solutions as the installation of amusement parks, spas, and upscale movie theaters. 6Rosen, Kenneth A. and Eric F. Chavetz. Diversification key for mall developers as retail landscape evolves. Retail Dive. February 7, 2017. 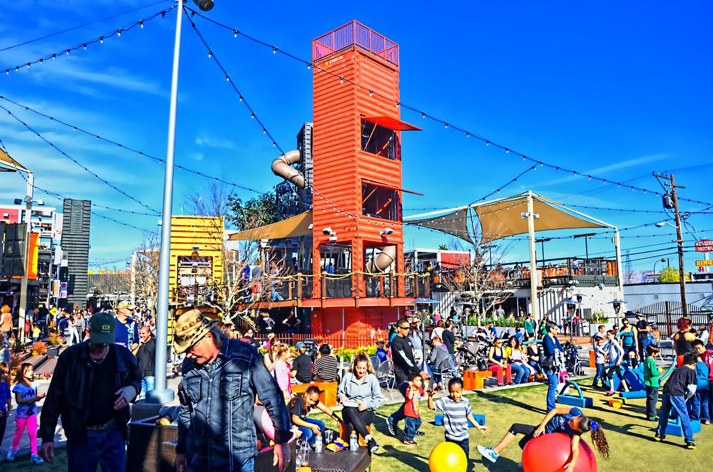 Downtown Container Park in Las Vegas is a retailtainment leader that excels at community building through free live music every weekend, movie nights and family friendly events.7Pappas, Christopher. Experiential Retailing Is Transforming the Use of CRE. Commercial Property Executive. July 13, 2017. To get in on the retailtainment action, suppliers of baby and pet products could express how their offerings align with these types of community-centric retail experiences, which can boost brand awareness and engagement for retail trading partners. Las Vegas’ Downtown Container Park is a leader in unique, exciting shopping experiences. To appeal to consumers’ increased demand for health and wellness lifestyles, some shopping malls have installed hockey rinks, soccer fields and obstacle courses for fun community fitness.8Ewen, Lara. ‘Not dead, just changing’: What the future holds for the American mall. Retail Dive. May 3, 2017. Such fitness-focused retailtainment offerings make a good strategic fit for suppliers of healthy foods, as well as healthcare and pharmacy products. Some malls are also converting to community-based destinations for consumers looking for fresh, locally produced food, innovative products and one-of-a-kind artisan products, ranging from handicrafts to furniture.9Ewen, Lara. ‘Not dead, just changing’: What the future holds for the American mall. Retail Dive. May 3, 2017. For some companies, reimagining retail has meant shifting a store’s purpose from simply selling stuff to building community through such retailtainment offerings as a public space for yoga, jogging and brunch.10Griffith, Erin. Selling Stuff Is No Longer the Point of Retail Stores. Fortune. June 8, 2017. To inspire consumers to visit their stores and linger longer, retailers also incorporate lifestyle elements, including boutique coffee shops and virtual reality (VR) experiences.1112 forecasts for the retail industry in 2017. Vend. December 2016. This year’s retail contraction has hit apparel retailers especially hard, and in response they are getting creative in how they reimagine their space. Some retailers are creating an experience-based environment and tying products to experiences, which changes the marketing focus from product features to experiential benefits. 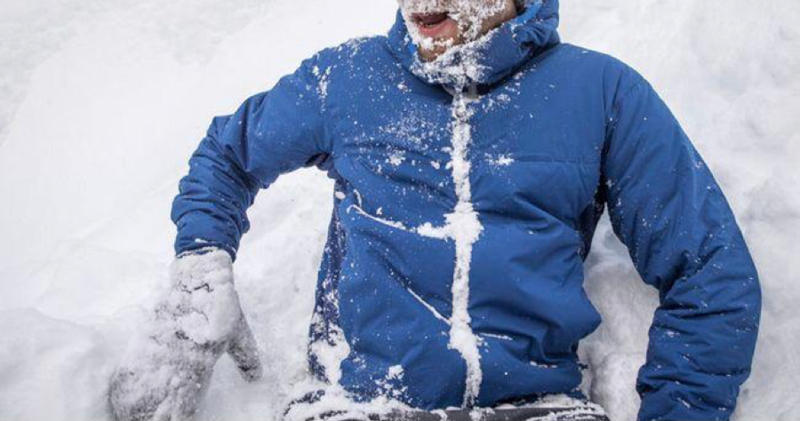 For instance, outdoor gear retailers would traditionally emphasize the warmth of a coat; however, now they might focus on how the product can deepen consumers’ outdoor experience, as the following example shows.12Cheng, Andria. The Competitive Threat in Retail Isn’t Just Other Retailers. eMarketer. January 5, 2017. Focused on play: REI’s marketing emphasizes outdoor experiences, active lifestyles and fun, rather than product features. To satisfy hungry fashionistas, Urban Outfitters recently bought fast-casual Pizzeria Vetri to incorporate into its stores, and tech-savvy trendsetter Rebecca Minkoff added smart dressing rooms so consumers can order drinks, browse the store catalogue, and communicate with store associates.1312 forecasts for the retail industry in 2017. Vend. December 2016. How’s this for cross-selling? In downtown Los Angeles, retailer Shinola’s store includes a shop owned by renowned tattoo artist Scott Campbell for shoppers seeking the latest fashions and ink.14Jones, Charisse. Retailers Adding Unusual Perks To Entice Shoppers To Stores. USA Today. September 11, 2017. 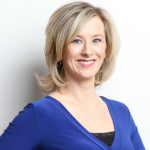 Retail decision makers “need a new mindset — they’re in the business of entertainment, of building social communities.”15Ruff, Corinne. 4 takeaways from NRF’s Big Show 2017. Retail Dive. January 18, 2017. In grocery, reframing retail value now means emphasizing non-price factors, including quality, customer service and an exceptional shopping experience to encourage customers to shop longer and spend more on food and beverage products.16Skrovan, Sandy. Food for thought: 7 trends set to define grocery retail in 2017. RetailDive. January 5, 2017. Retailtainment has expanded supermarkets’ scope to include a coffee bar, wine-tasting section and dinner party solutions and live cooking shows.17Skrovan, Sandy. Food for thought: 7 trends set to define grocery retail in 2017. RetailDive. January 5, 2017. Experiential in-store grocery features like live cooking and product demonstrations are particularly popular among millennial shoppers who desire elevated culinary experiences.18Skrovan, Sandy. Millennials spend more on groceries than older generations. Food Dive. July 24, 2017.19Acton, Annabelle. The Future Of Grocery Shopping: What The Amazon And Whole Foods Merger Means For Supermarkets. Forbes. July 6, 2017. Customers in the market for bath products who visit the Kohler Experience Center in New York can now sample the faucets, showerheads and sinks – by taking a shower or bath on site(! ).20Jones, Charisse. Retailers Adding Unusual Perks To Entice Shoppers To Stores. USA Today. September 11, 2017. To pamper shoppers, Nordstrom’s new retail concept features nail beauty services, tailoring and style advice services, and a bar featuring alcoholic and non-alcoholic beverages.21Howland, Daphne. Nordstrom opening merchandise-free concept. Retail Dive. September 11, 2017. 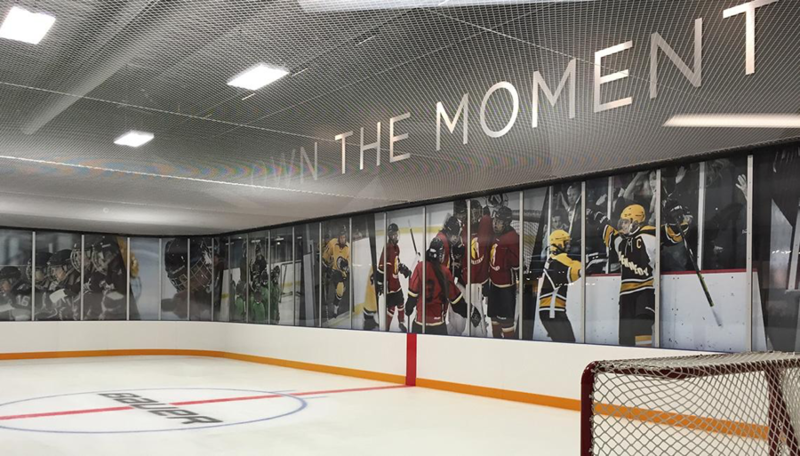 Bold and beautiful retailtainment: Bauer Hockey’s ‘Own the Moment Hockey Experience’ near Boston includes an in-store hockey rink. For unique experiences, Bass Pro Shops added a bowling alley within one store. Bauer Hockey added hockey rink in the middle of a store so shoppers can try on skates and hockey equipment before they buy. The retailer’s Personal Fit Experts also customize shopper gear based on skill level and style of play, which has generated a 90-minute average dwell time for Bauer.22Taylor, Glenn. Context, Education And Entertainment Drive Experiential Retail Success. Retail Touchpoints. April 18, 2017. Retailtainment gives retailers an opportunity for strategic differentiation and word of mouth, which can boost brick and mortar traffic, sales and loyalty. 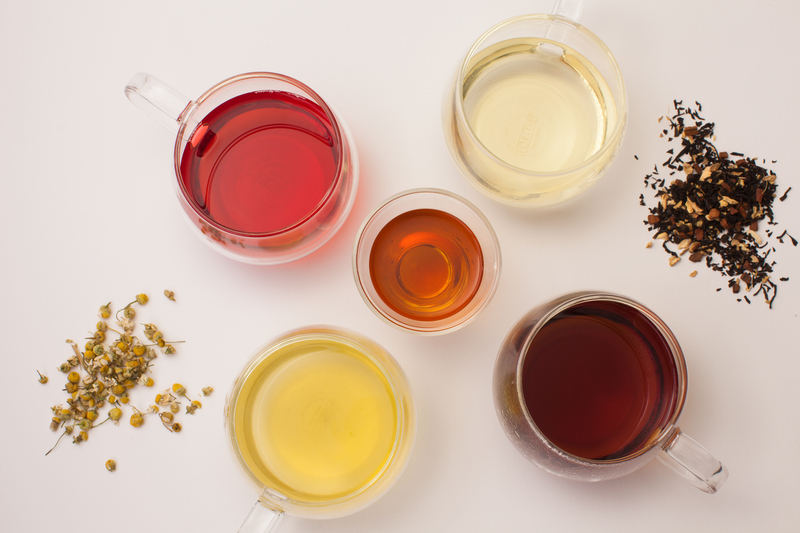 Retailers and suppliers can dazzle and connect with shoppers by emphasizing how products fit into consumers’ lifestyles, and delivering unmatched experiences that surprise and delight in-store guests. 1, 2, 12. ↑ Cheng, Andria. The Competitive Threat in Retail Isn’t Just Other Retailers. eMarketer. January 5, 2017. 3. ↑ Peterson, Hayley. More than 6,300 stores are shutting down — here’s the full list. Business Insider. August 1, 2017. 4, 14, 20. ↑ Jones, Charisse. Retailers Adding Unusual Perks To Entice Shoppers To Stores. USA Today. September 11, 2017. 5. ↑ Thau, Barbara. Anchors Away: Malls Get A New Lease On Life With Fresh Retail Blood, Karaoke. Forbes. March 28, 2017. 6. ↑ Rosen, Kenneth A. and Eric F. Chavetz. Diversification key for mall developers as retail landscape evolves. Retail Dive. February 7, 2017. 7. ↑ Pappas, Christopher. Experiential Retailing Is Transforming the Use of CRE. Commercial Property Executive. July 13, 2017. 8, 9. ↑ Ewen, Lara. ‘Not dead, just changing’: What the future holds for the American mall. Retail Dive. May 3, 2017. 10. ↑ Griffith, Erin. Selling Stuff Is No Longer the Point of Retail Stores. Fortune. June 8, 2017. 11, 13. ↑ 12 forecasts for the retail industry in 2017. Vend. December 2016. 15. ↑ Ruff, Corinne. 4 takeaways from NRF’s Big Show 2017. Retail Dive. January 18, 2017. 16, 17. ↑ Skrovan, Sandy. Food for thought: 7 trends set to define grocery retail in 2017. RetailDive. January 5, 2017. 18. ↑ Skrovan, Sandy. Millennials spend more on groceries than older generations. Food Dive. July 24, 2017. 19. ↑ Acton, Annabelle. The Future Of Grocery Shopping: What The Amazon And Whole Foods Merger Means For Supermarkets. Forbes. July 6, 2017. 21. ↑ Howland, Daphne. Nordstrom opening merchandise-free concept. Retail Dive. September 11, 2017. 22. ↑ Taylor, Glenn. Context, Education And Entertainment Drive Experiential Retail Success. Retail Touchpoints. April 18, 2017. I like what you said about companies re-imagining retail and shifting a store’s purpose from simply selling things to building community. I’ve been wondering why my local mall has been adding some space for playgrounds and outdoor activities lately, but this makes sense. Thank you for the information about how this will inspire shoppers to linger longer and for retailers to incorporate lifestyle elements.